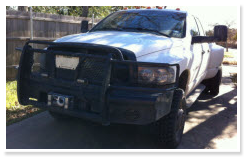 Welcome to Roadrunner Roadside – the full service Emergency Roadside Assistance Company that Northern TX motorists have been choosing for quality Roadside Service since 2008. We are locally, family owned and operated, and also licensed and insured. Our dispatchers are friendly and helpful and our road service technicians are equipped with the latest tools and trained with the most up-to-date techniques to get you back on the road fast. We offer all kinds of roadside assistance services for cars, trucks, semi trucks, tractor trailers, 18 wheelers etc, including: winch outs, jump starts, battery replacements, fuel delivery (gas and diesel), fluid delivery, fuel filter changes, auto lockouts and tire changes. We offer minor mechanical repairs and can also handle auto accidents and provide towing services and storage of vehicles if needed. We Pay Cash for Cars; Junk, Salvage, Non Running! Contact us Today!